Are you the crafty sort who likes to make gifts instead of buy them? Well here's your chance to put that personal touch into your holiday presents. It's Make Fun, the holiday gift making party. Check it out! This holiday season, don't buy anything. Make everything. Give your loved ones something brilliant and beautiful that you made yourself, from the Make Fun studio. Make Fun is a creative workshop for anyone who wants to sew, glue, experiment and build with fabric. 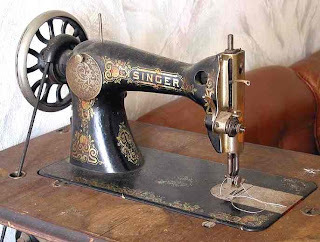 We provide sewing machines, thread, fabric, scissors, glue and a variety of material to help you make any gift imaginable for anyone and everyone on your list. Please bring food, drink, any specific gifts or materials you wish to use or decorate, half-finished projects, and inspiration.